Woodhall Spa Tennis Club Lincolnshire is a friendly tennis club situated within the beautiful and picturesque surroundings of Jubilee Park in Woodhall Spa. We are registered with the LTA and have a small clubhouse and three all-weather courts, all of which are floodlit.We are a small, friendly and social club with a total membership of just over 180 people. We encourage all ages and standards of play both to our members and visitors to the area along with the local community. We aim to offer coaching to suit players of all abilities all year round. The club is run by a committee, elected by members at the AGM every year. We are affiliated with the Lawn Tennis Association (LTA), allowing our members FREE British Tennis Membership and the opportunity to be included in an annual ballot for Wimbledon tickets. 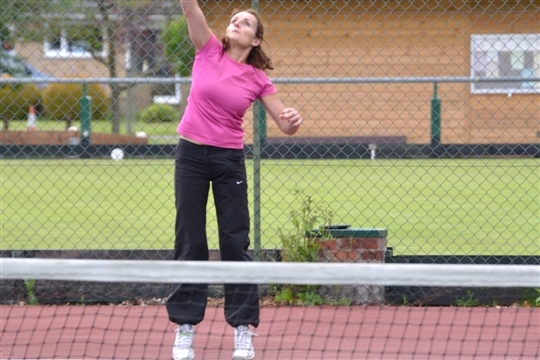 Whether you just fancy a game with friends or wish to play competitively, Woodhall Spa Tennis Club is the place to be!